This year, I thought it would be fun to share with you guys exactly what I’ll be cooking up on Thursday for our Thanksgiving dinner. Every recipe is grain-free, dairy-free, sugar-free, and corn-free; using only real food ingredients. 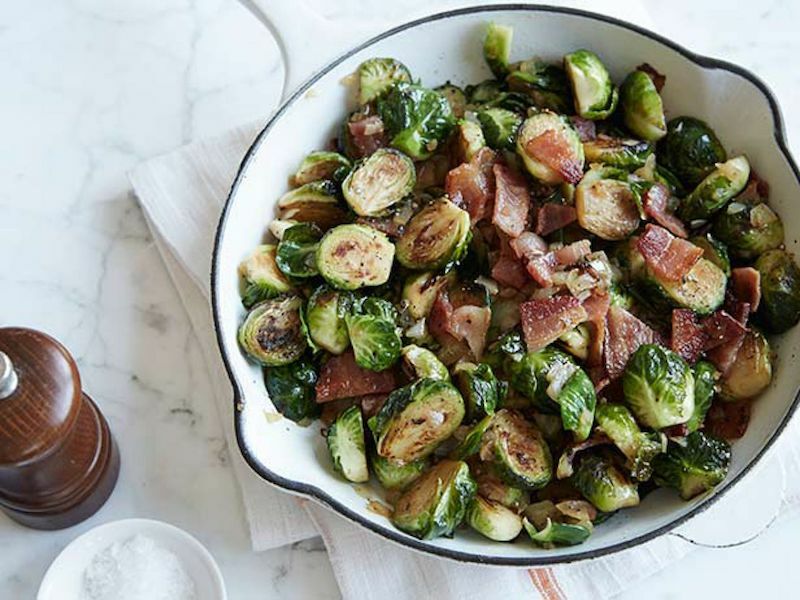 Each dish is nutrient-packed, metabolism boosting, and will make you feel GOOD after a big dinner, instead of ending up in a food coma. ‘Tis the time of year to be thankful and I’m beyond thankful for each of you! If you’d like the recipes, keep reading! Preheat oven to 400F. Using a sharp knife, cut the pumpkins in half. Scoop out seeds and place on a baking sheet. Bake for 1.5 hours until pumpkin edges are slightly brown. Using a large metal spoon, scoop cooked pumpkin flesh into a bowl. In a large pot over medium heat, saute oil and shallots for 4-5 minutes until tender. Stir in garlic and cook an additional minute. 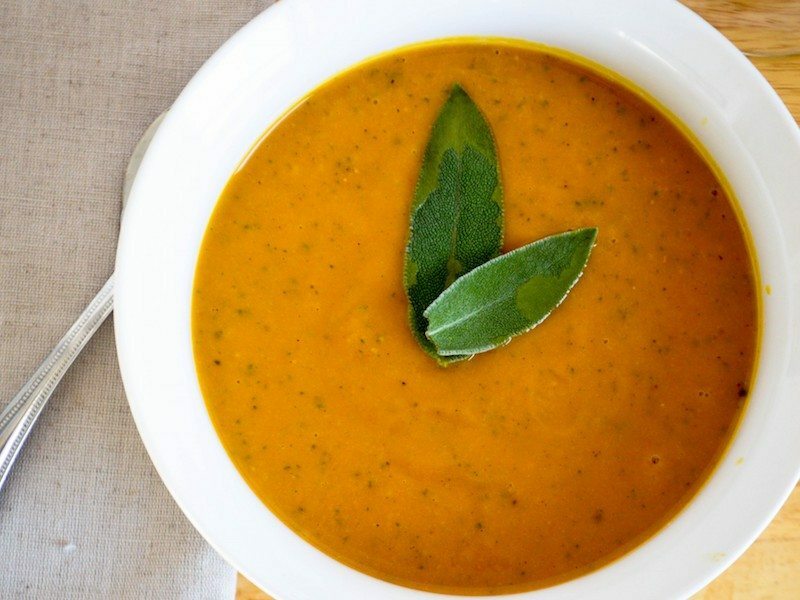 Stir in pumpkin flesh, vegetable broth, sage, salt and pepper, bring to a boil, reduce heat to low, and simmer covered for 15 minutes. Using an immersion blender, puree directly in the pot. If you don’t have an immersion blender, you can use a regular blender and working in batches of no more 2 cups, puree soup. Return soup to the pot, and heat through. Season with additional sea salt and pepper as needed. Sprinkle with additional fresh sage. Enjoy! Steam the kale until it is bright green. Meanwhile, in a cast iron skillet, toast the pine nuts. 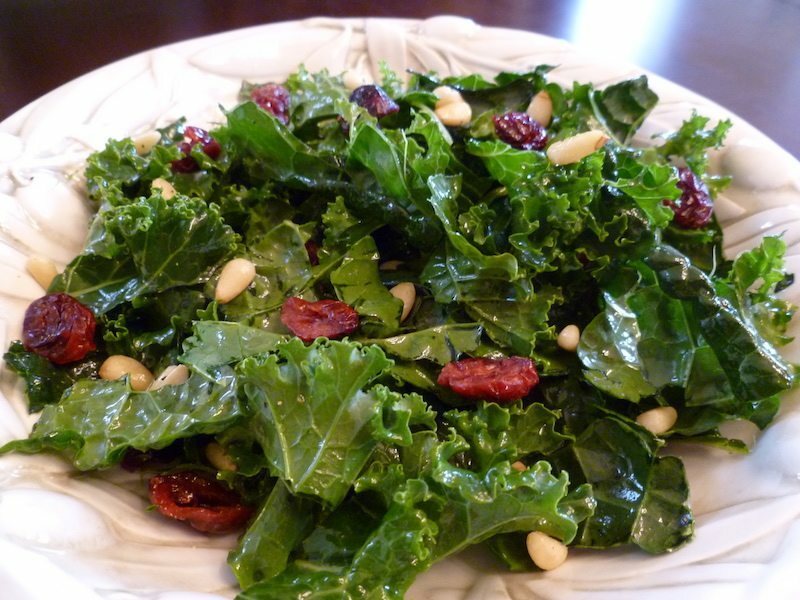 Allow kale and pine nuts five minutes to cool, then toss together in a large bowl. Add dried cranberries and olive oil. Toss and serve. Preheat oven to 425F. Liberally salt and pepper the inside of the turkey cavity. Stuff the cavity with two halves of an orange, ½ lemon, 3 cloves garlic, bunches of parsley, thyme, rosemary, and sage, and 2 slices of onion. Drizzle cavity with coconut oil. Stuff the neck cavity with 2 cloves garlic and ½ lemon. Stuff sage leaves and 2 cloves garlic underneath skin of breast. Brush the outside of the turkey with liberal amounts of coconut oil and sprinkle with salt, pepper, garlic powder, and thyme leaves. Tie the legs together with cooking twine and tuck the wing tips under the body of the turkey. Place cut carrots, rest of onion, 4 cloves of garlic, and remaining herbs and orange in the bottom of a large roasting dish. Toss with coconut oil and salt. Set turkey on top. 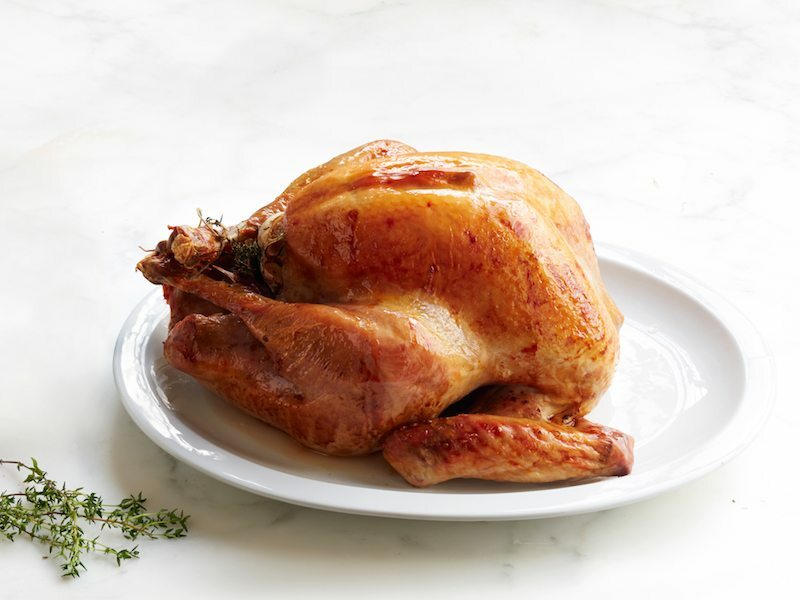 Place turkey in oven for 10 minutes, then without opening the door, turn down the temperature to 325F and roast for 30 minutes more. Baste with juices every 15 minutes, roasting for a total of nearly 3 hours, or until the juices run clear when turkey is cut between the leg and the thigh. If juices run low, baste with turkey bone broth. Remove from oven and cover with aluminum foil to rest for 15 minutes before carving. Reserve drippings and onions for cashew cream gravy, if desired. Preheat oven to 400F. Trim your Brussels sprouts by removing the bottom edge, slicing the sprouts in half, and washing them in a sink with running water. Place in Pyrex dish. Dice sweet potatoes in small chunks, and cut the bacon into small bits. Place both in Pyrex dish. Mix everything together in the Pyrex dish. Season liberally with sea salt and pepper. Cook in oven until sweet potato chunks are soft (usually about 45 min-1 hour). Make sure to stir a few times during the cooking process. Bake squash in the oven at 350F for 40 minutes, until soft. Scoop squash out of skin, discarding skin. Place squash in food processor with butter (or oil), eggs, vanilla, cinnamon, nutmeg, sweetener sand salt. 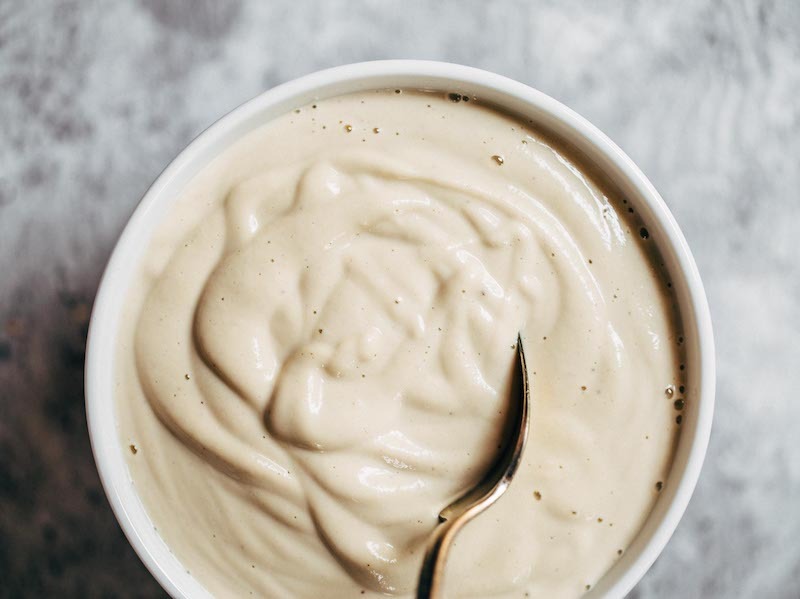 Puree until smooth and creamy. Place in a 9-inch tart pan or a casserole dish and bake at 350F for 40 minutes. 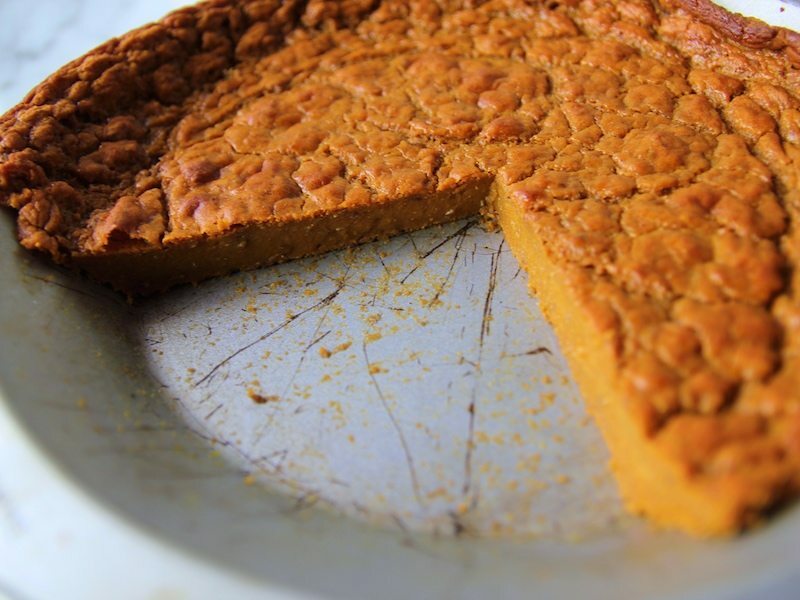 This tastes JUST like pumpkin pie and is super delicious! 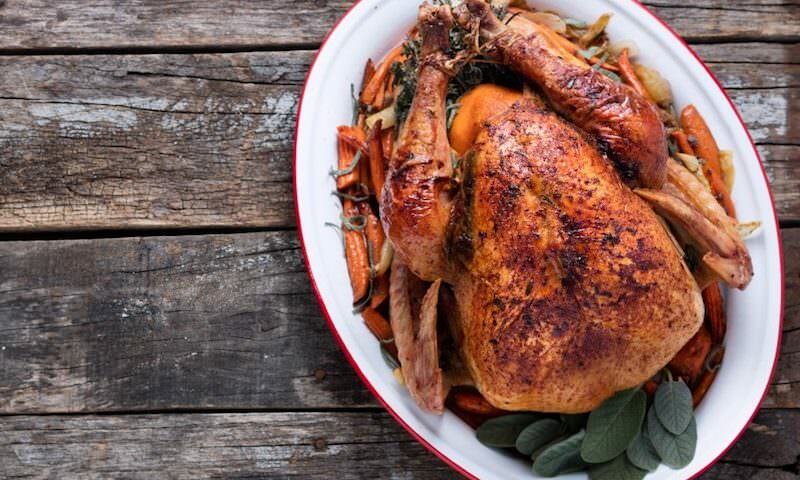 What are YOUR favorite Thanksgiving recipes? Are there any go-to family recipes that you want to share?